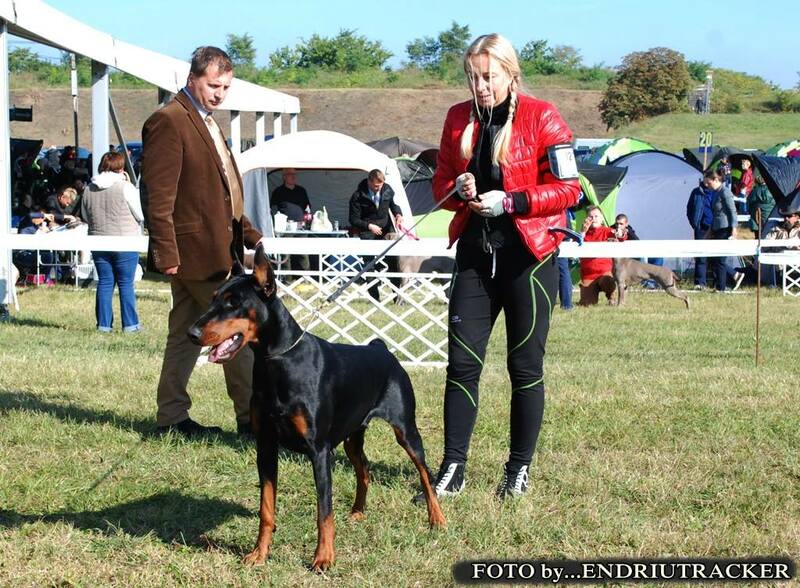 II place of BEST of GROUP!!!! 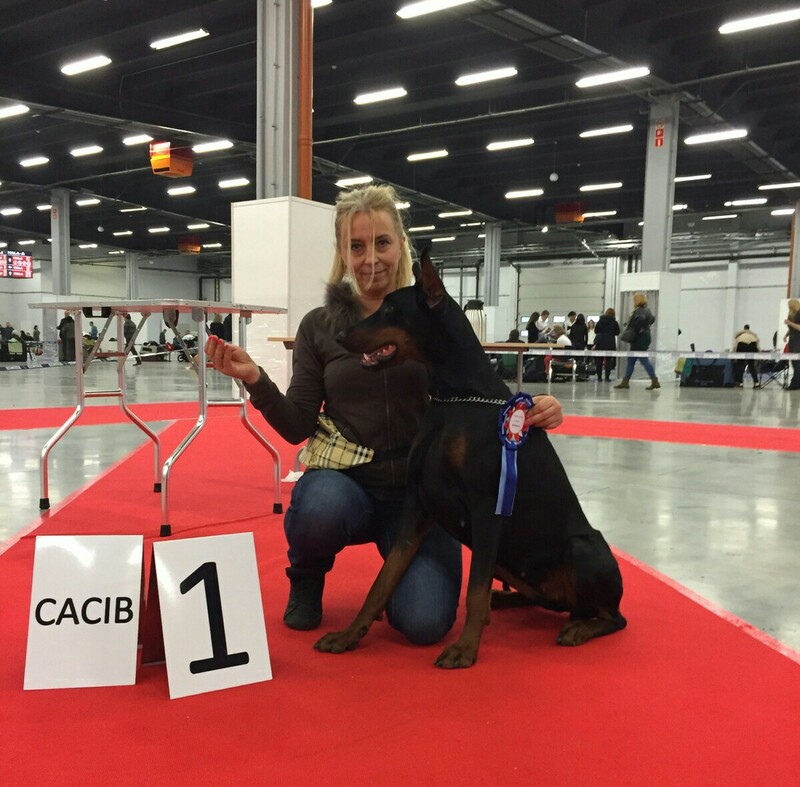 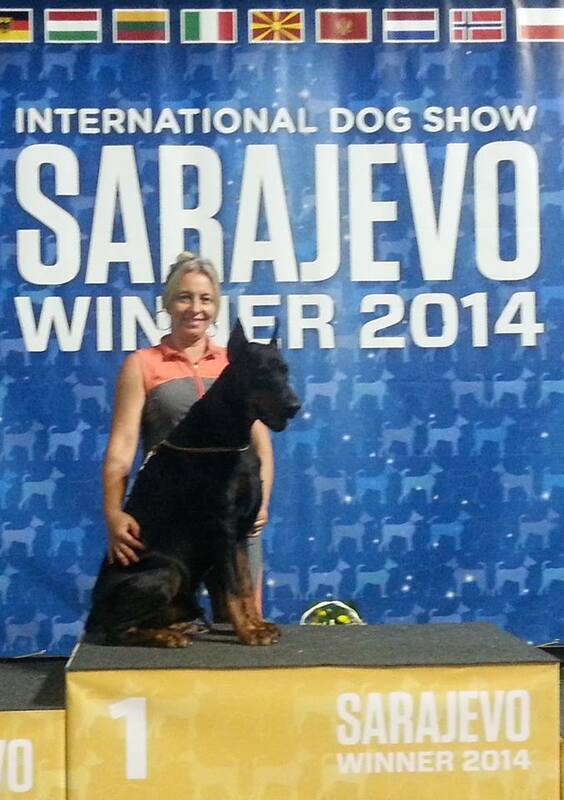 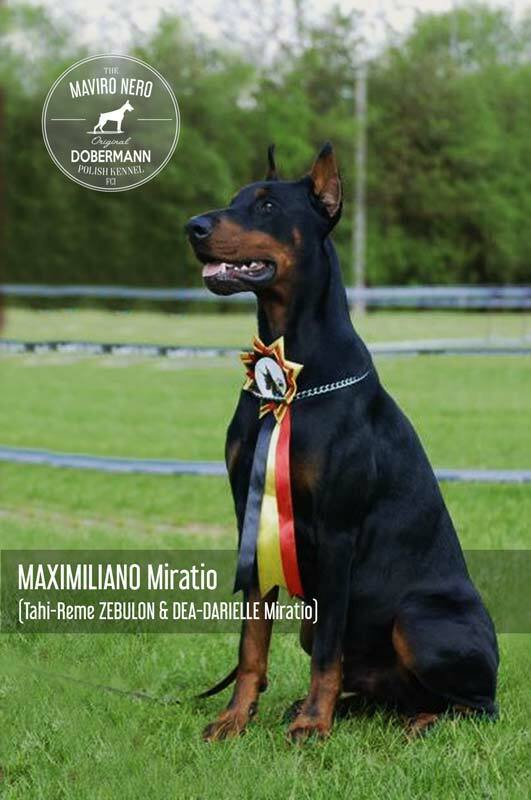 Maximiliano and Ulke Nikita the best dogs on the ring! 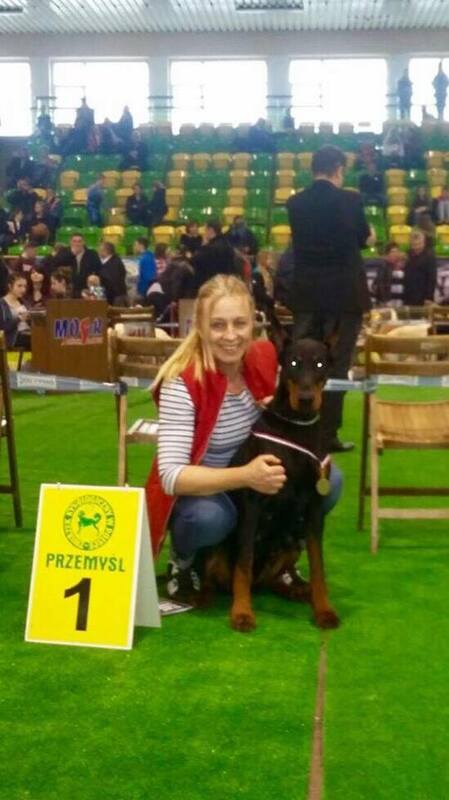 VIKTORIA di Prisconte finish Young CHAMPION of POLAND !! 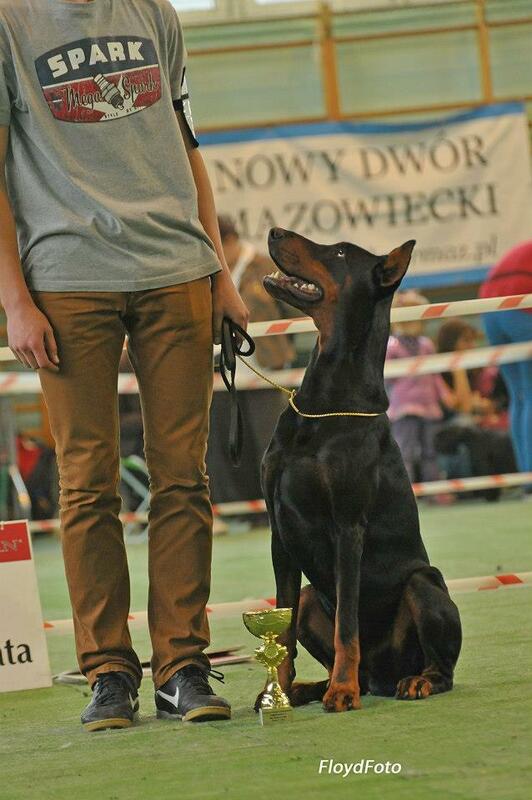 ROMA today FINISH CHAMPION OF POLAND !!! 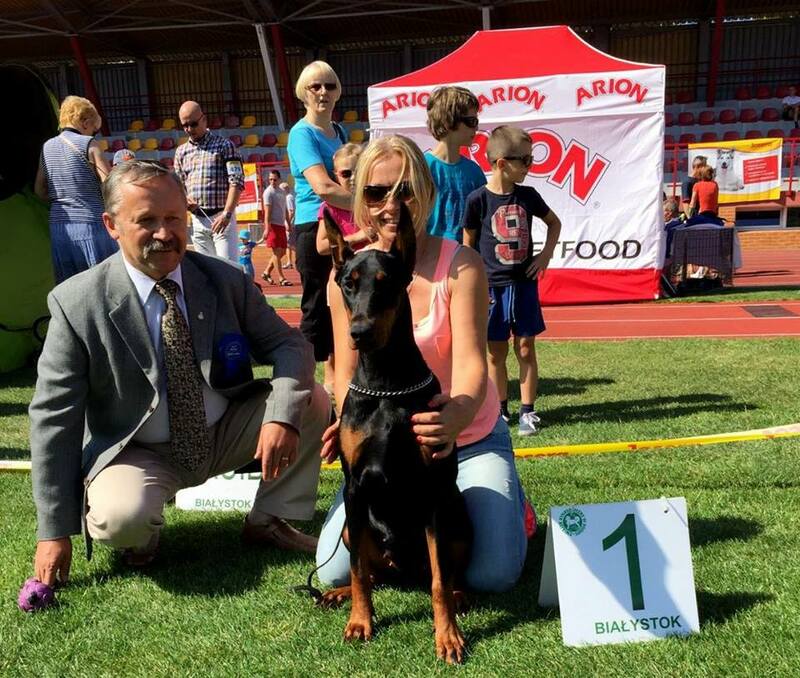 judge: Molnar Zsolt (R) — w: Białystok. 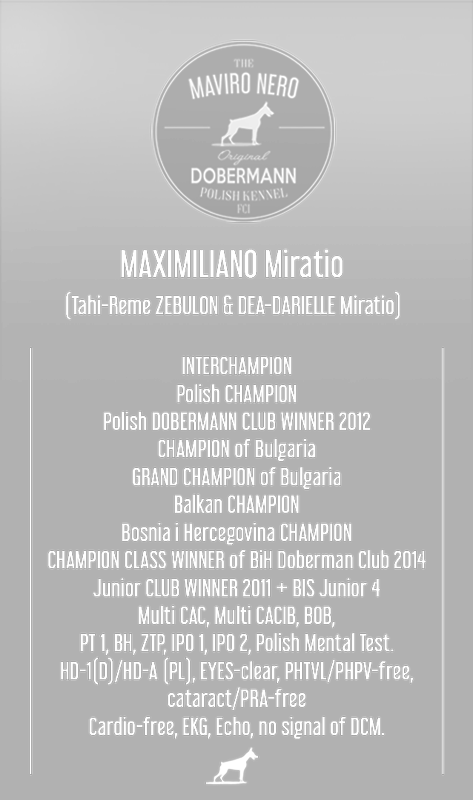 POLISH CLUB WINNER 2012 for MAXIMILIANO Miratio! 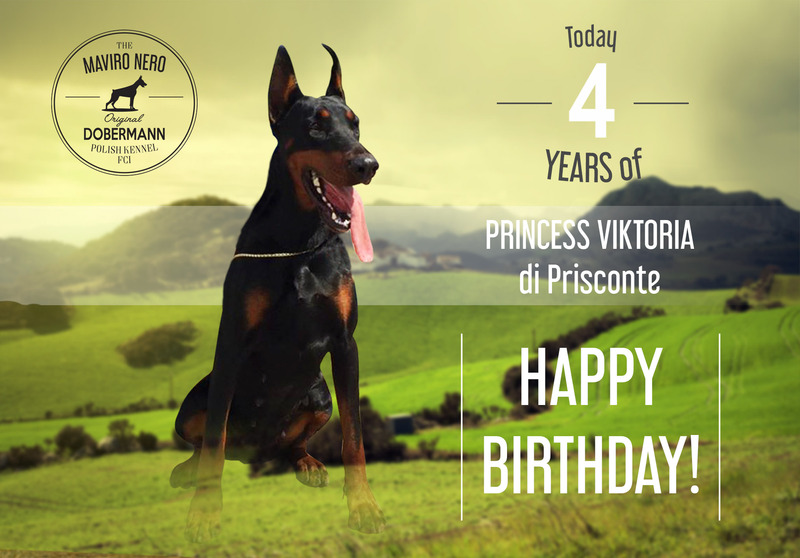 PRINCESS VIKTORIA di Prisconte has 4th Birthday! 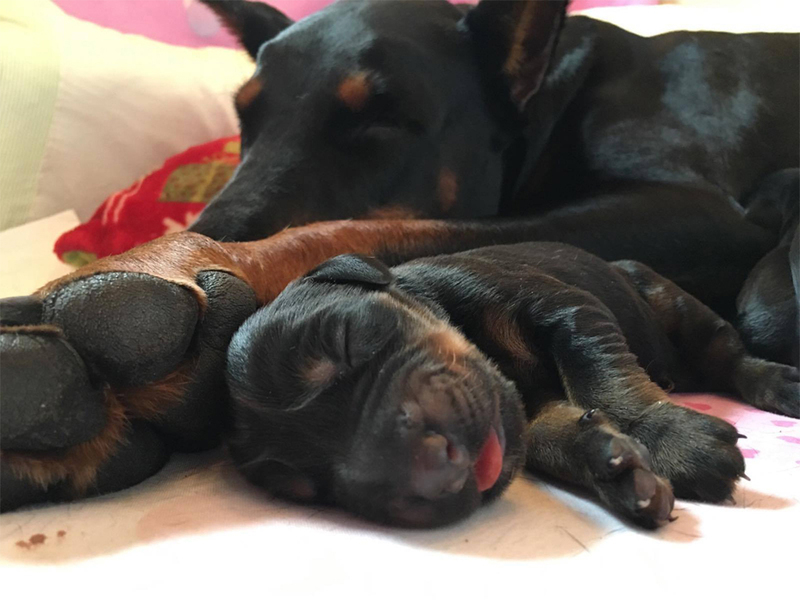 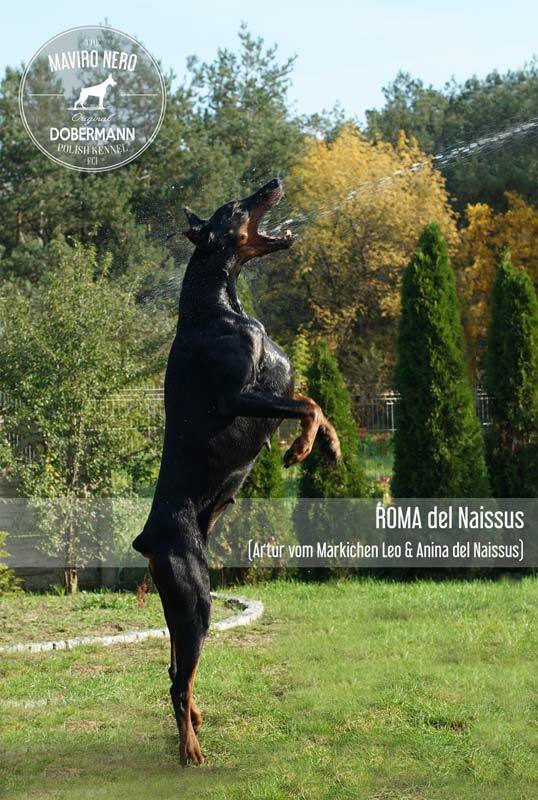 ROMA DEL NAISSUS BECAME A MOTHER! 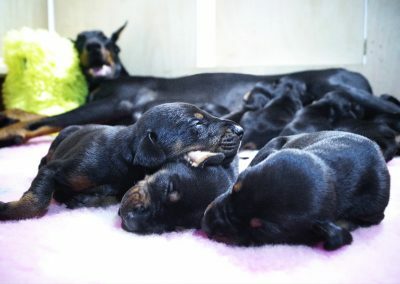 We are so happy about last news! 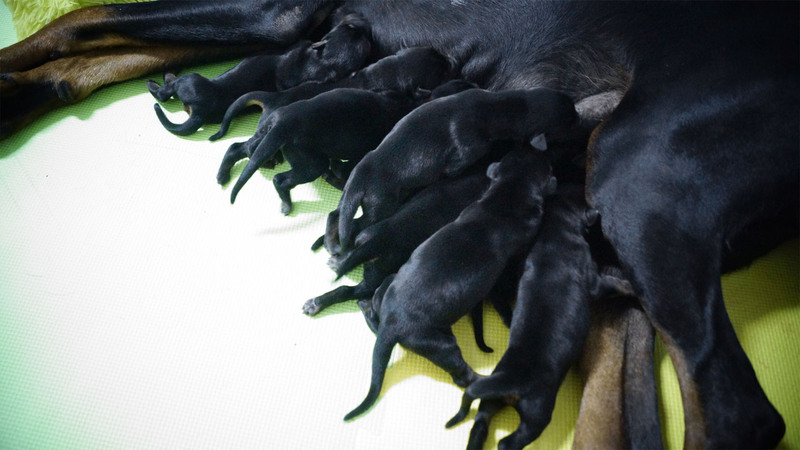 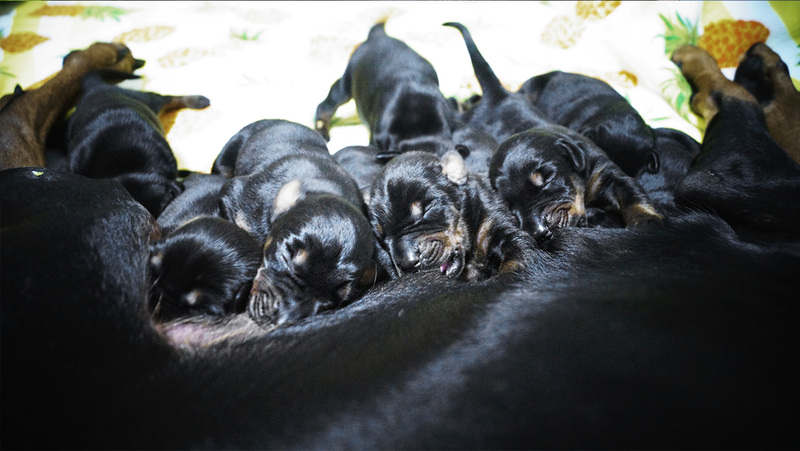 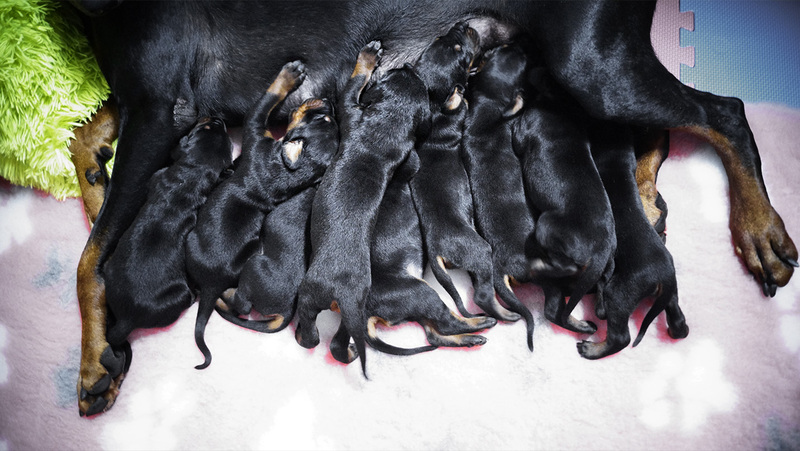 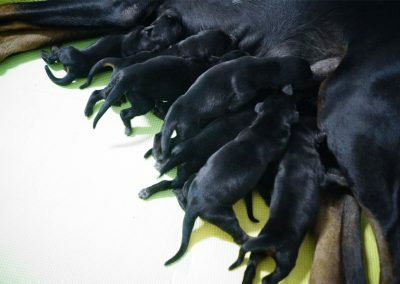 Today born 9 strong and healthy puppies (6 females and 3 males) from litter “M”. 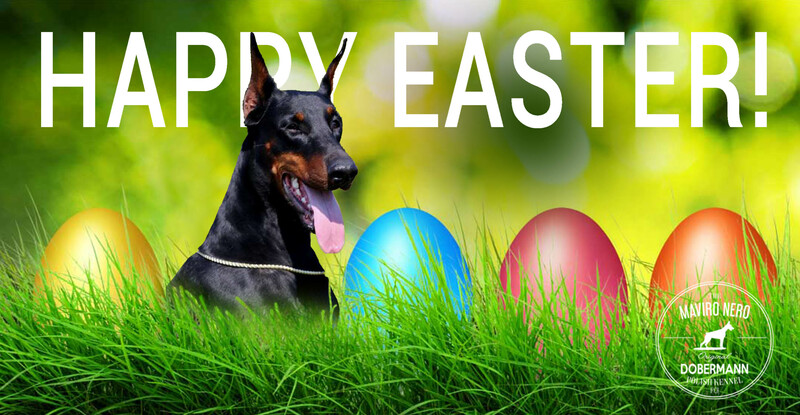 Maviro Nero wish you all happiness during Easter! 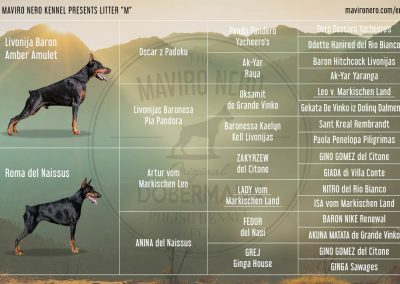 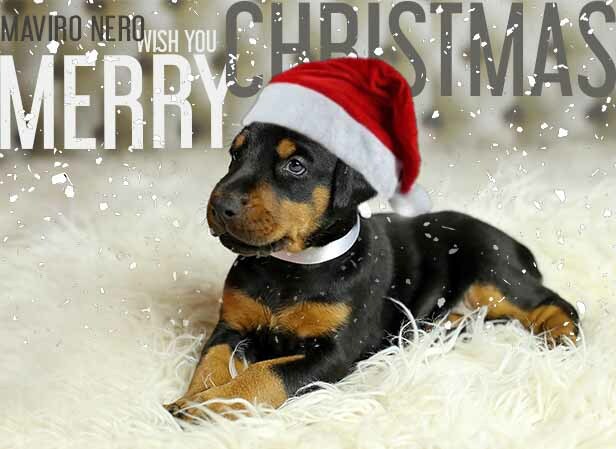 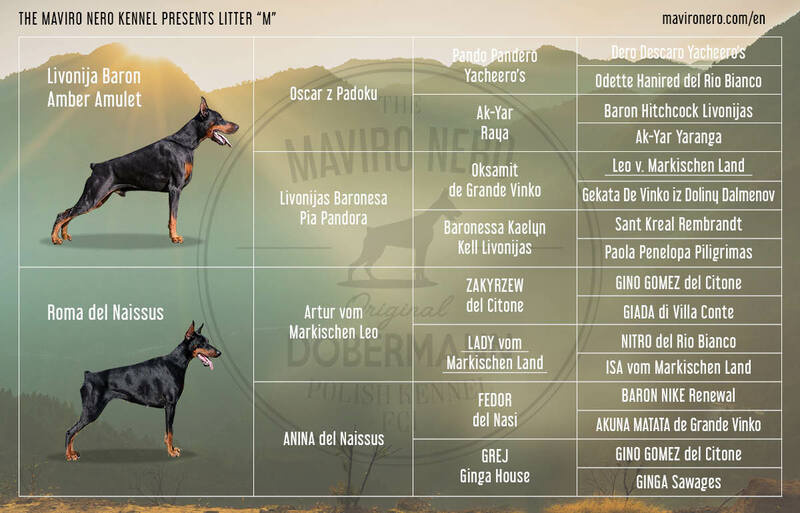 Maviro Nero Kennel wish you all happines and great time with your dogs! 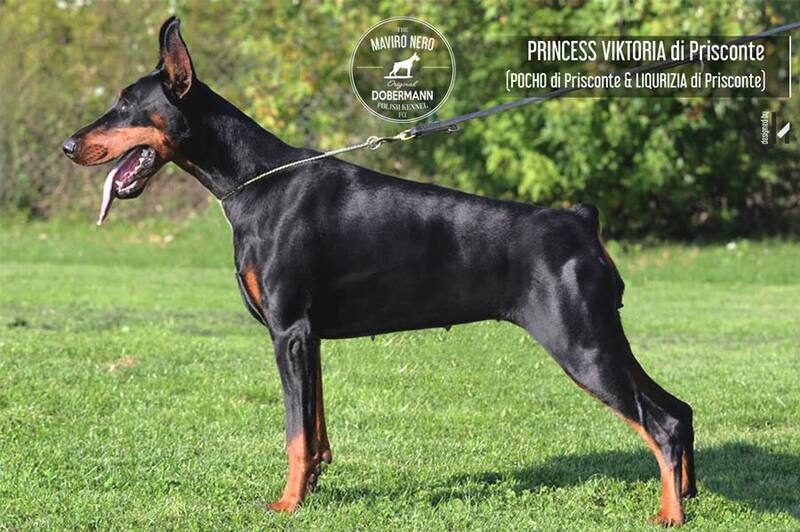 We are so happy that our PRINCESS VIKTORIA di Prisconte became a mother! 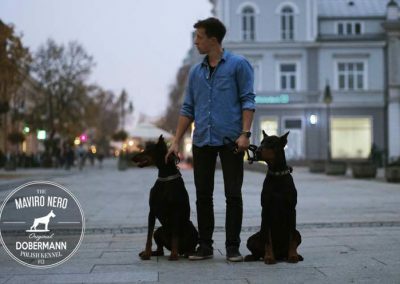 Both of them are great! 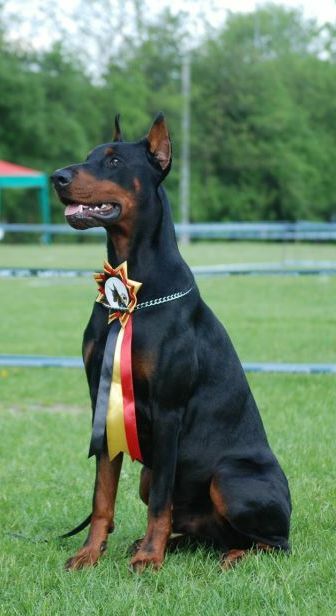 Passed a BH exam with very nice result. 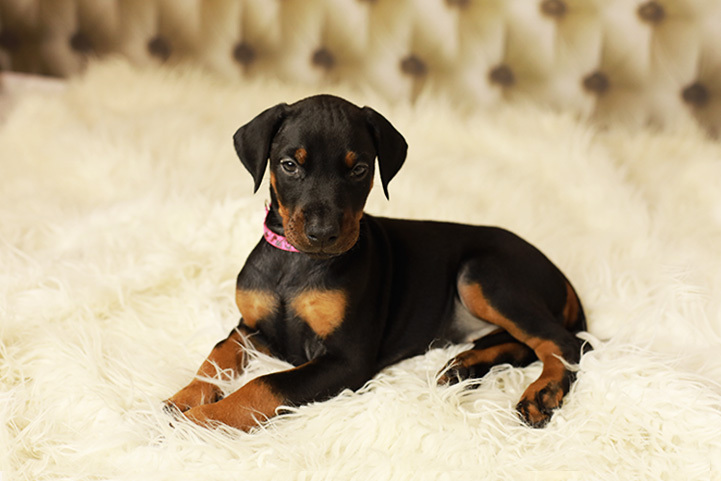 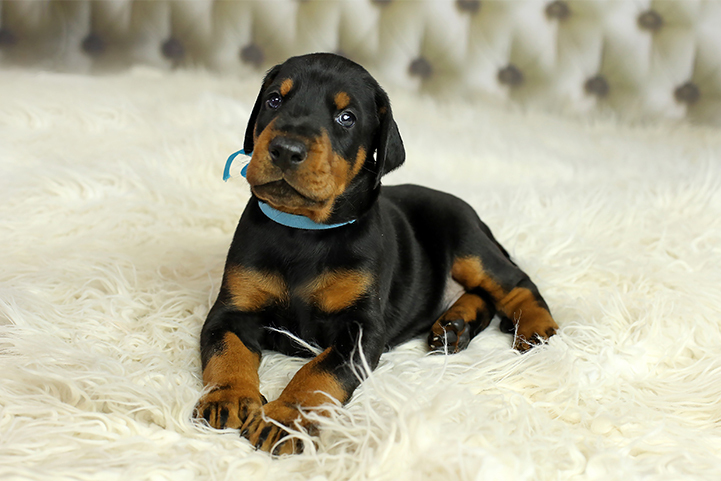 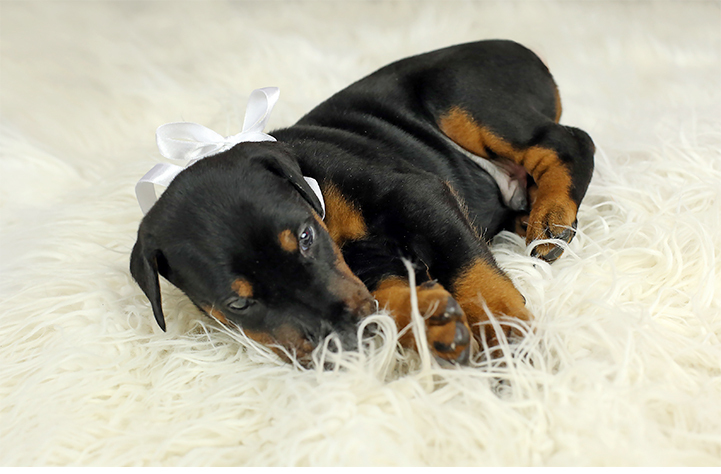 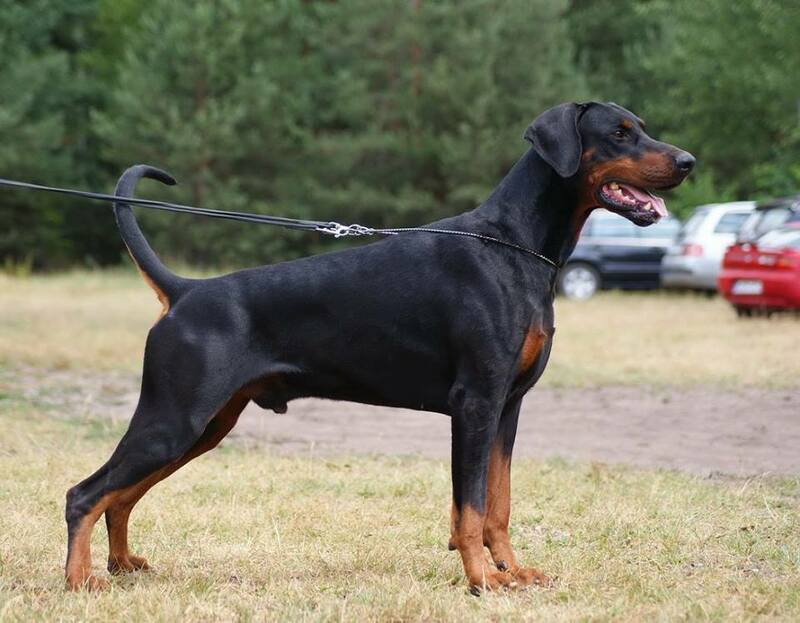 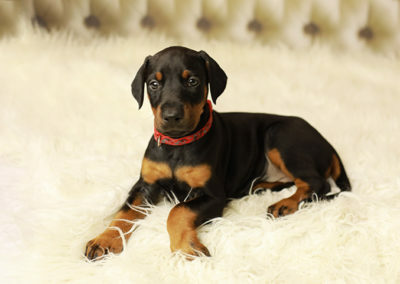 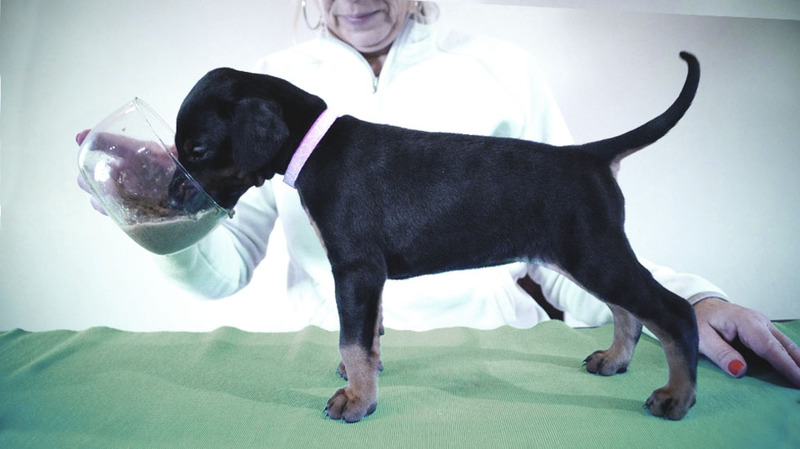 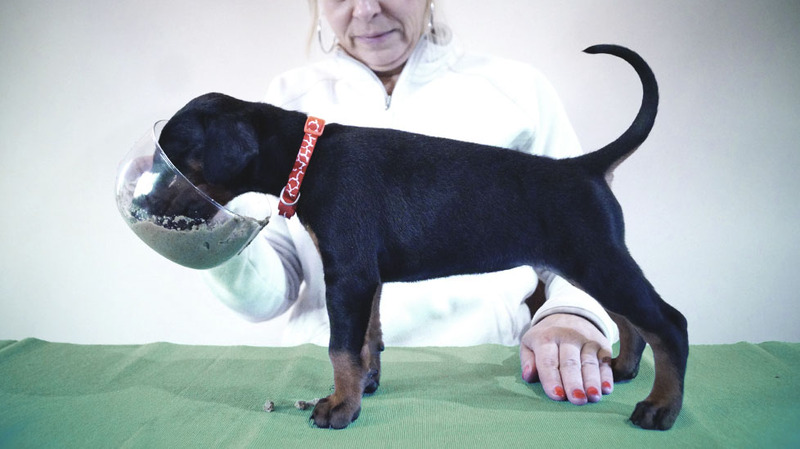 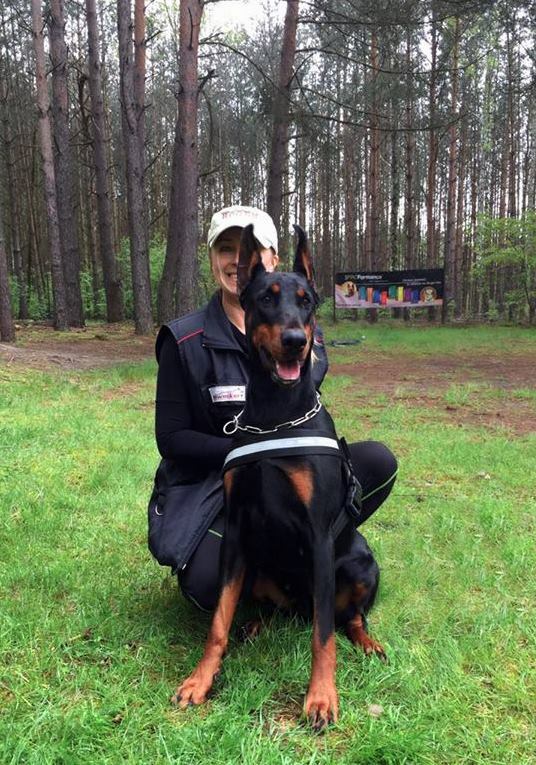 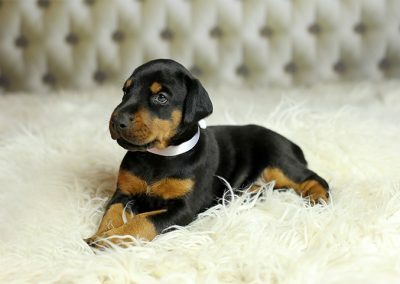 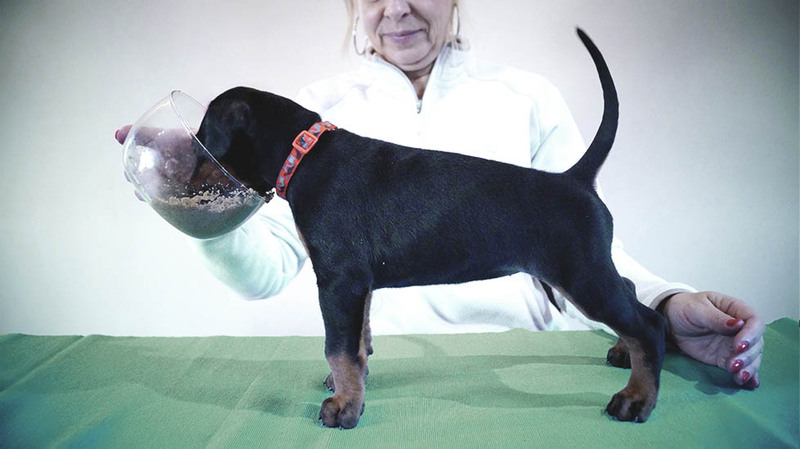 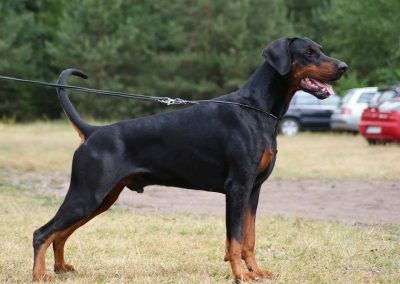 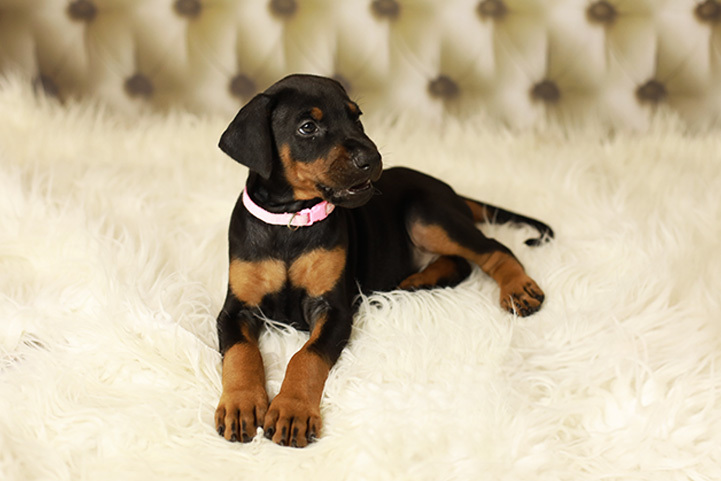 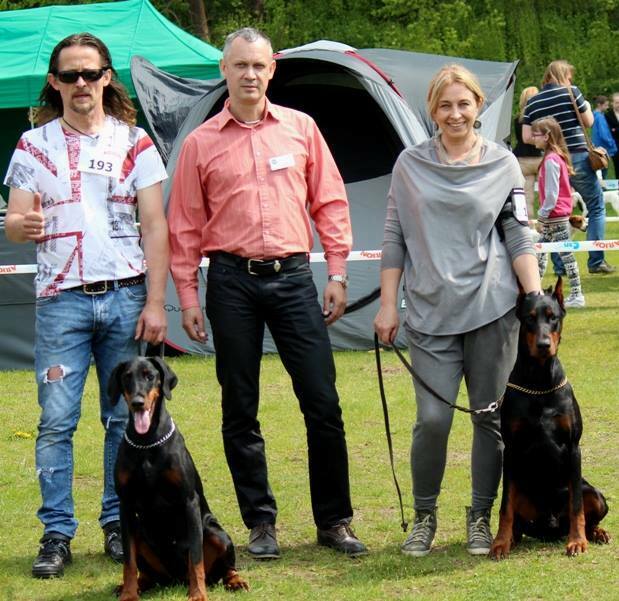 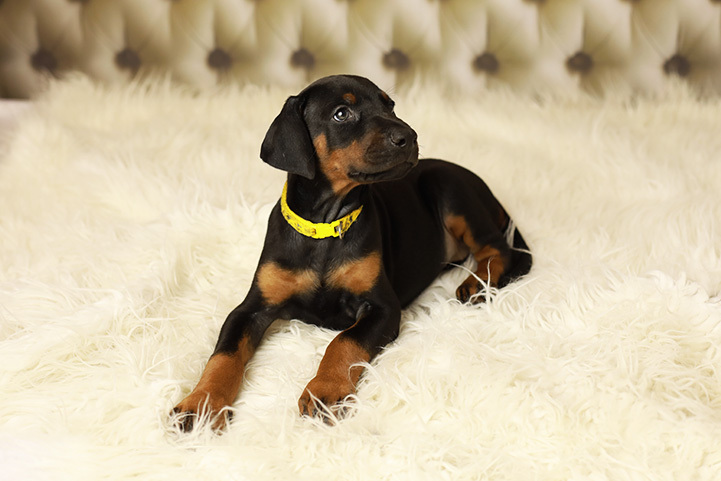 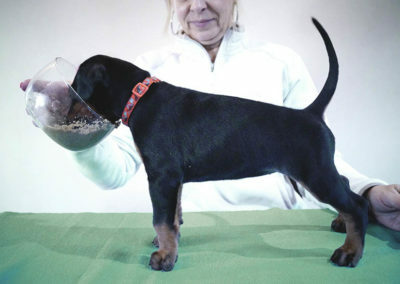 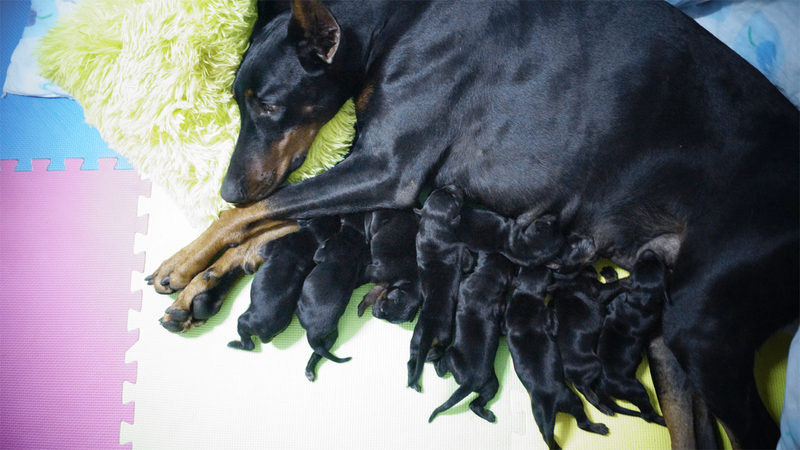 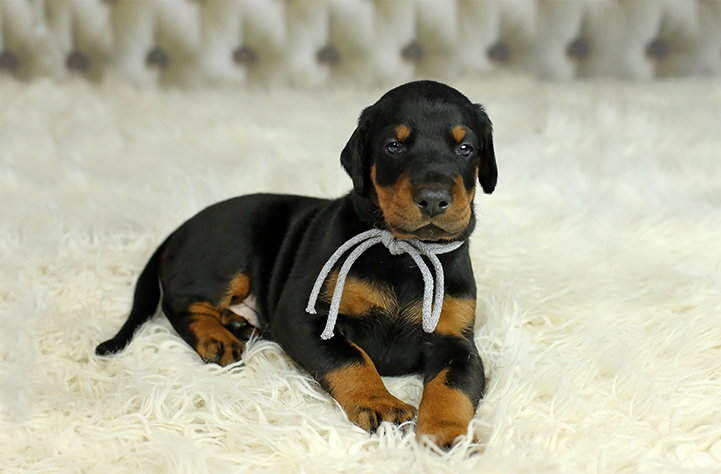 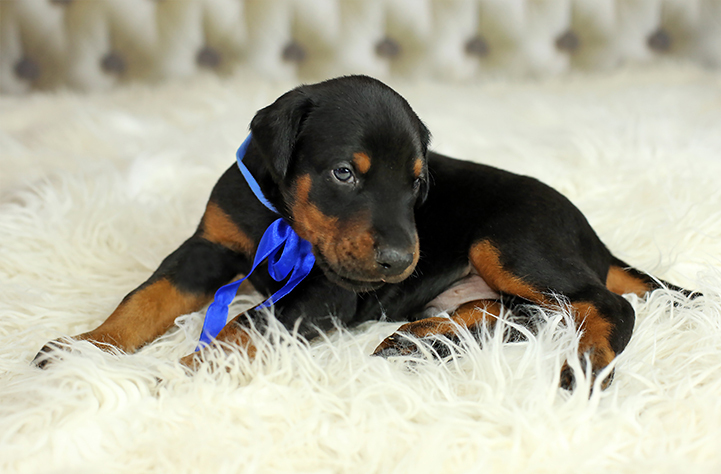 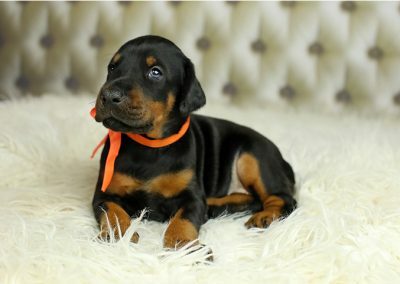 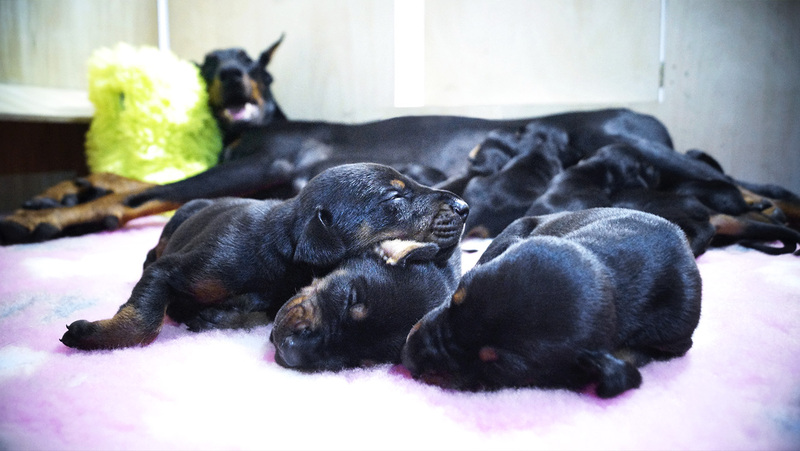 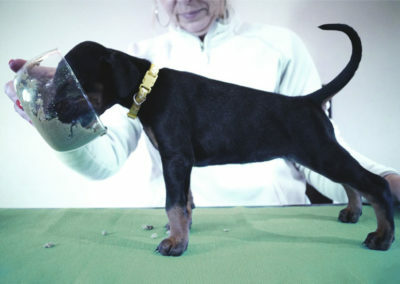 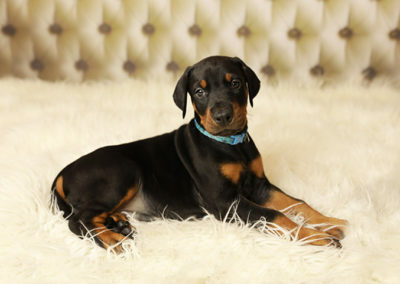 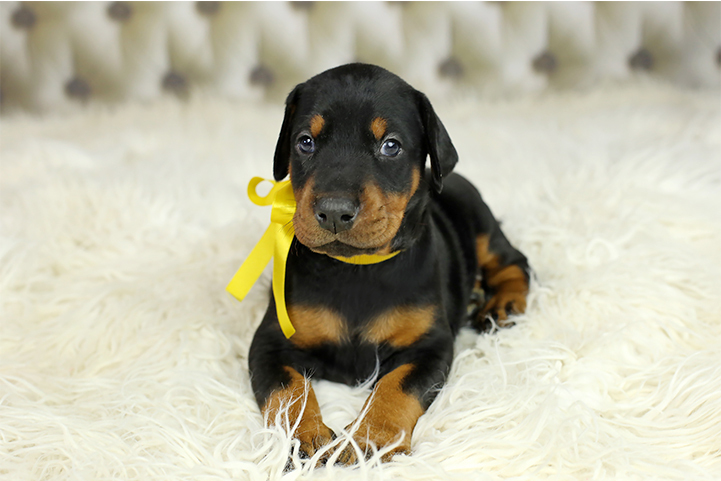 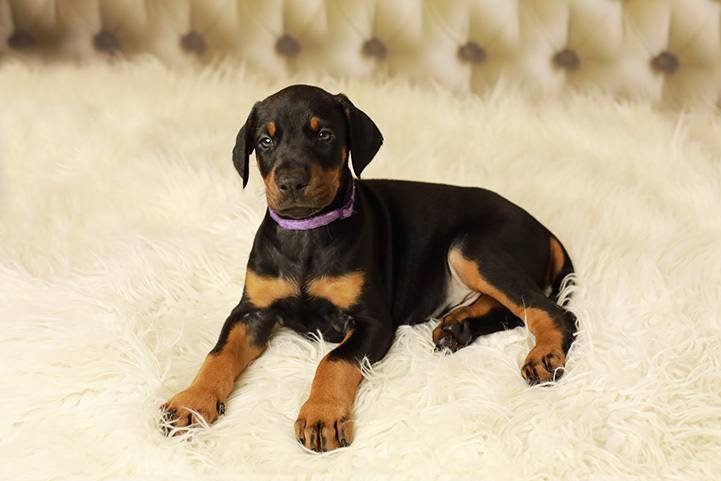 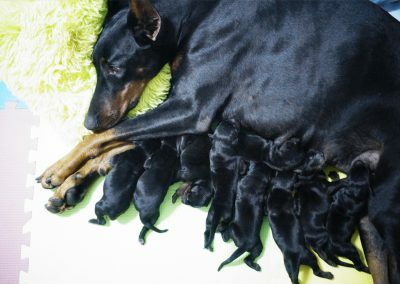 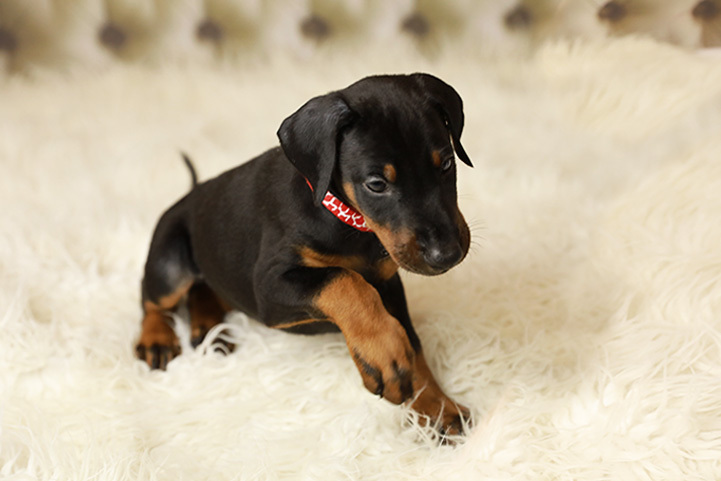 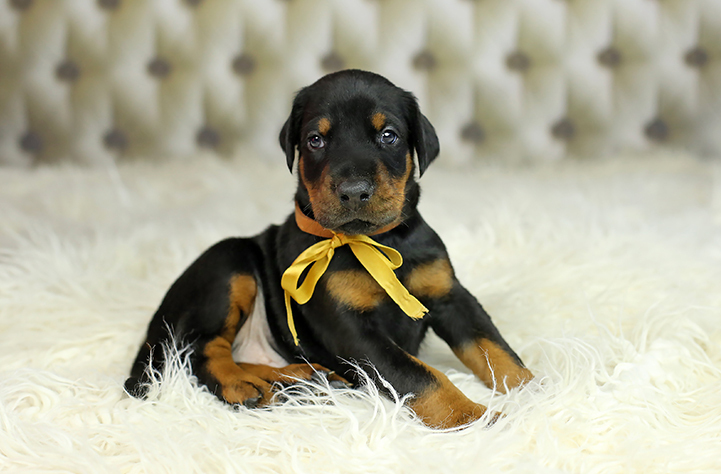 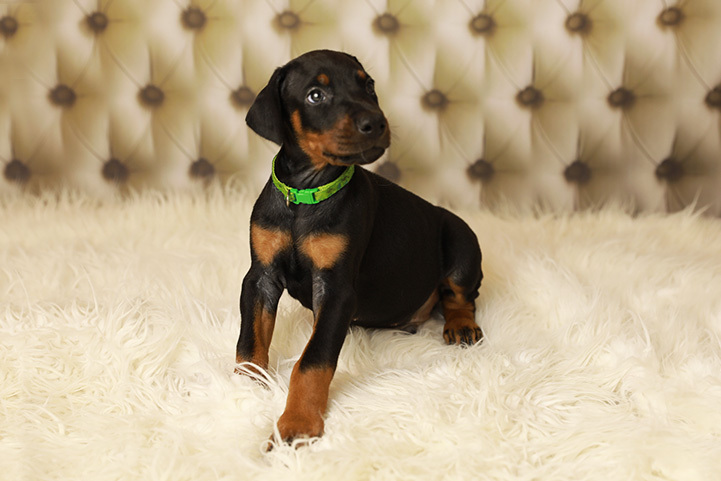 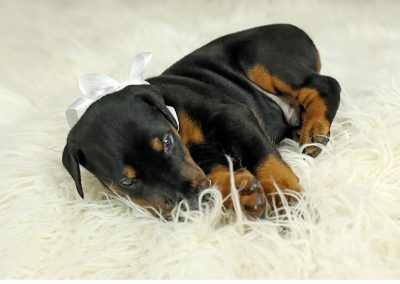 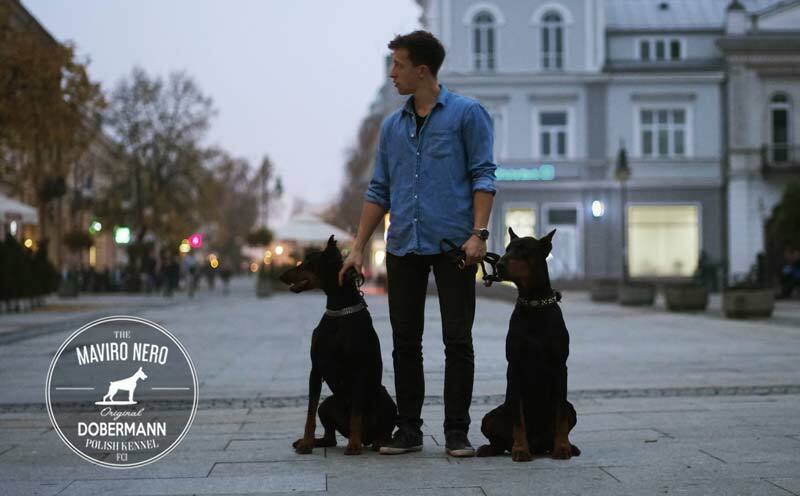 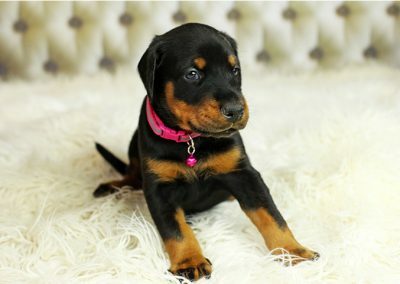 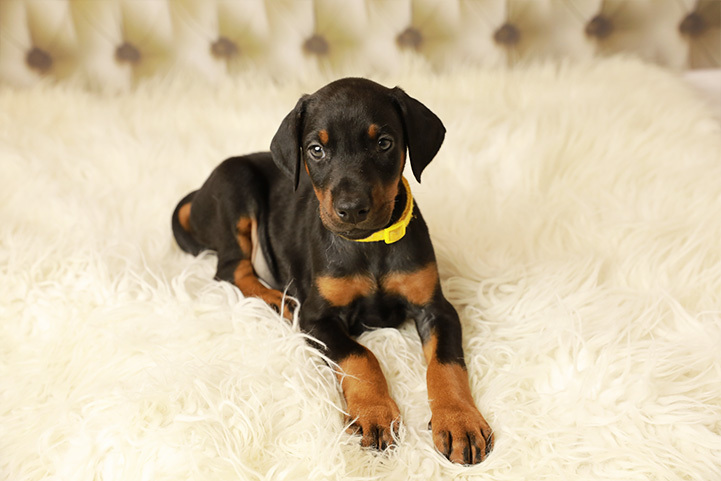 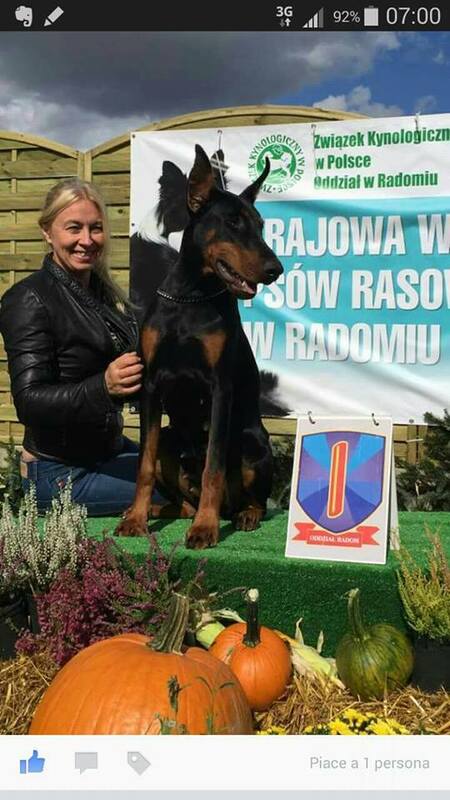 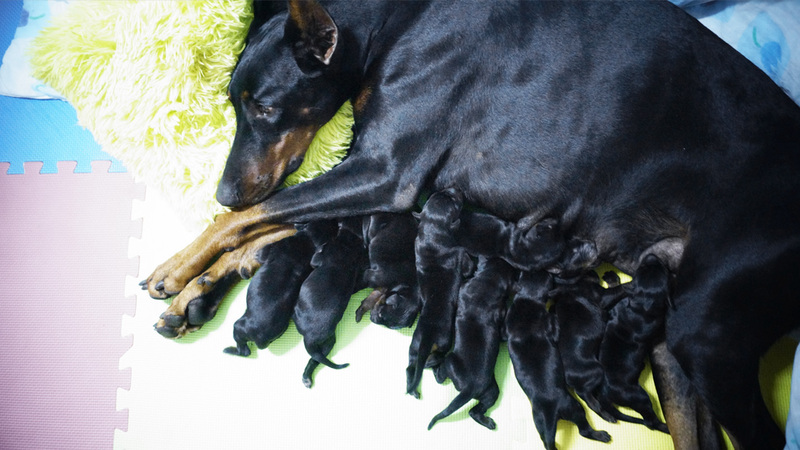 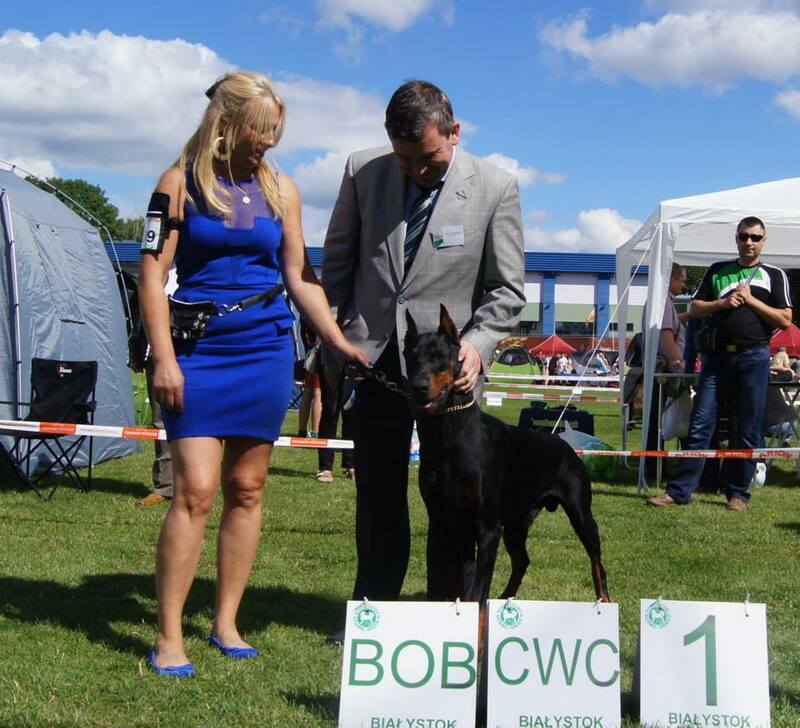 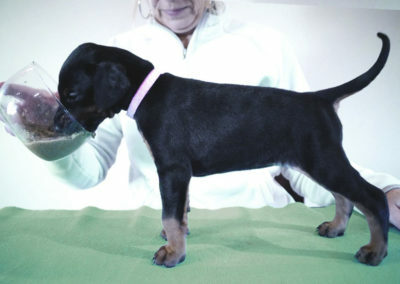 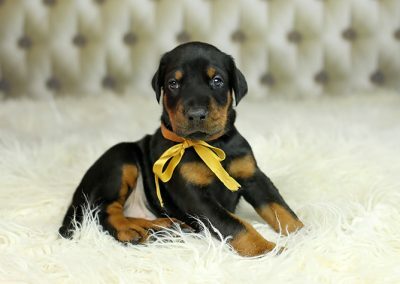 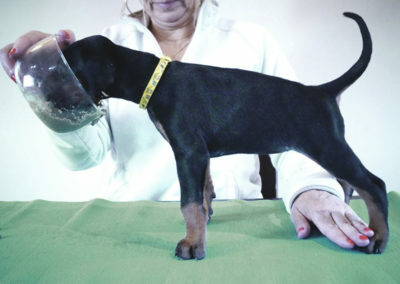 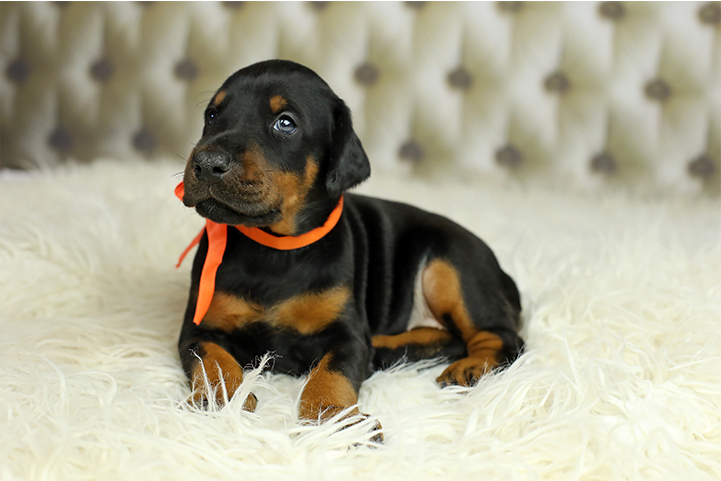 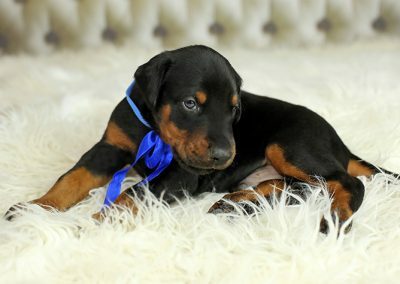 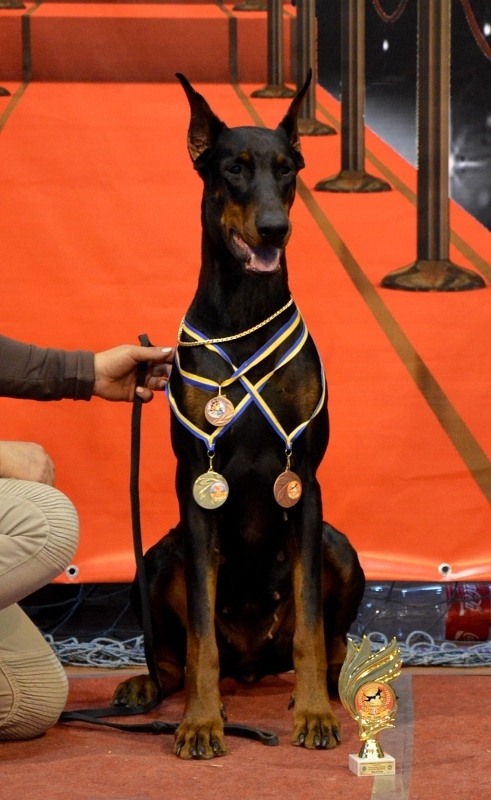 Our Doberman kennel is located in central Poland, 100km south from the capital (Warsaw). 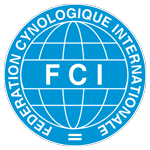 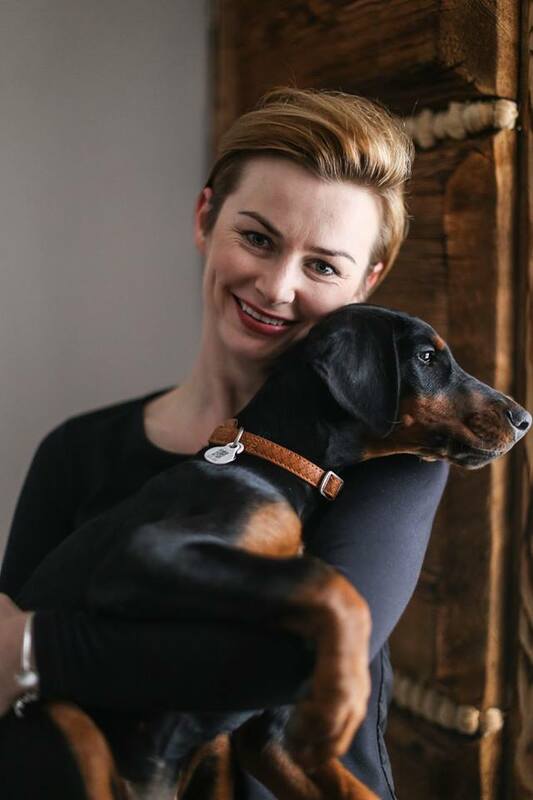 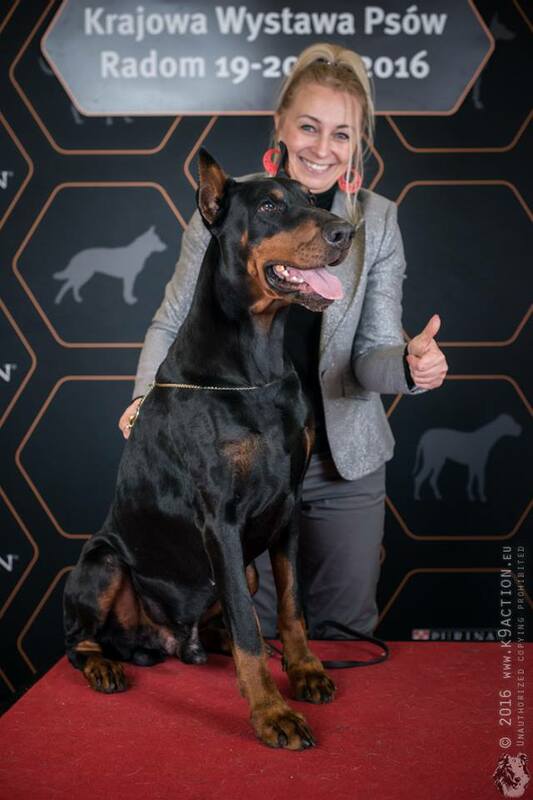 We are recognised and accredited by International Cynologique Federation (Fédération Cynologique Internationale) and Polish Kennel Association (ZKwP), member of FCI. 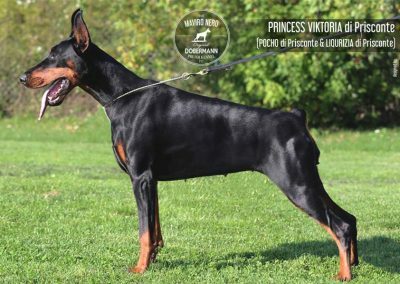 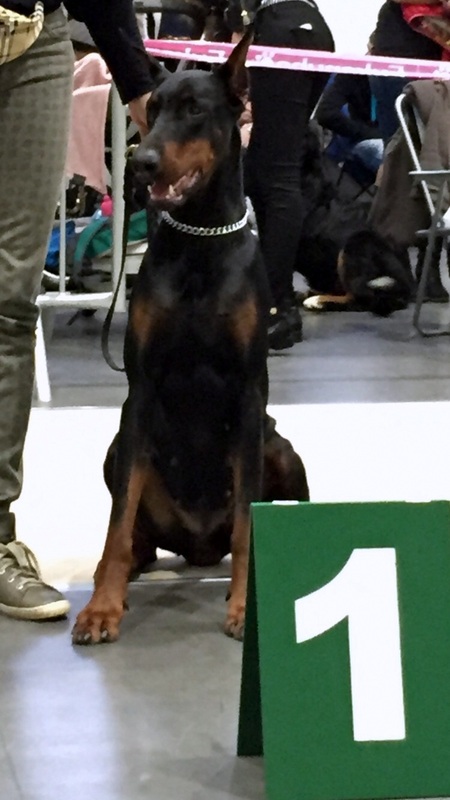 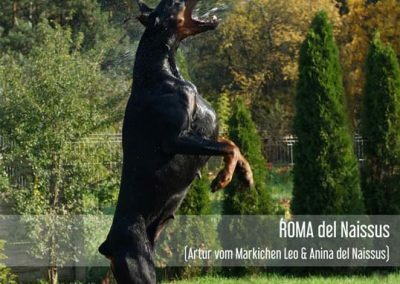 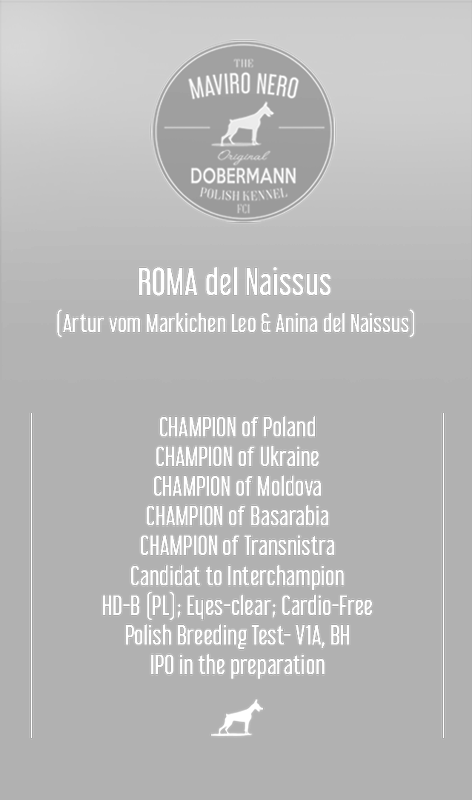 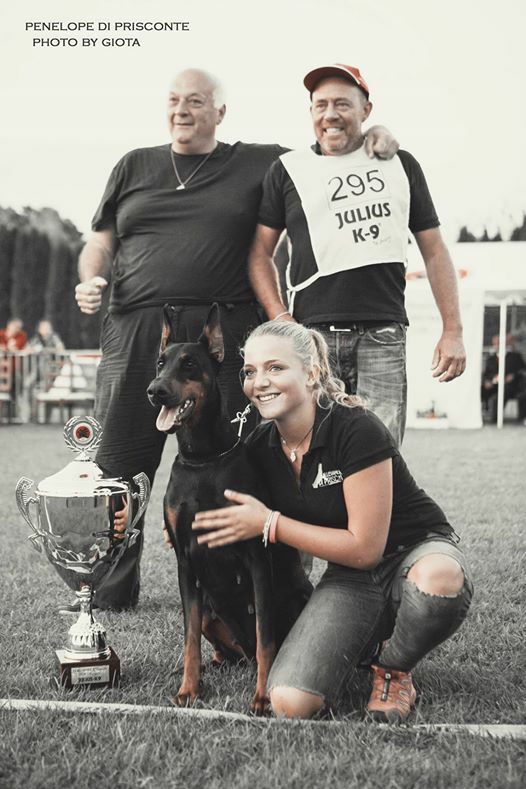 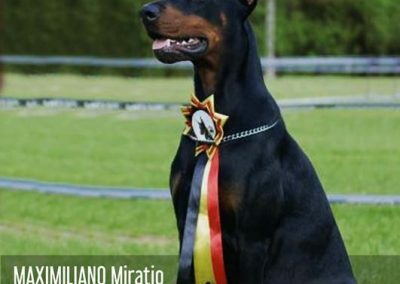 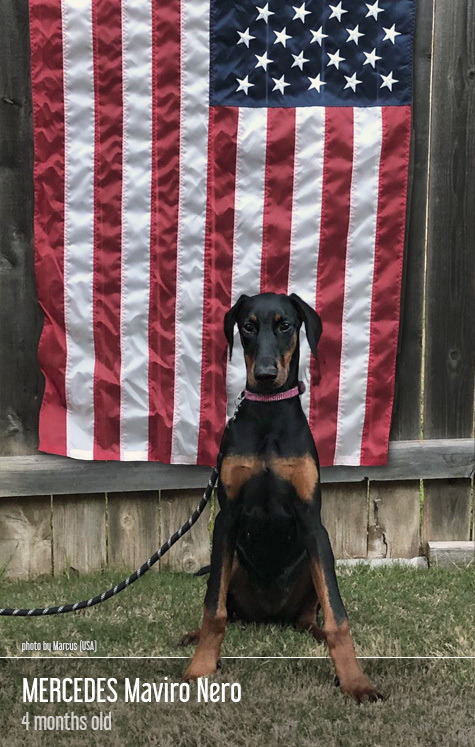 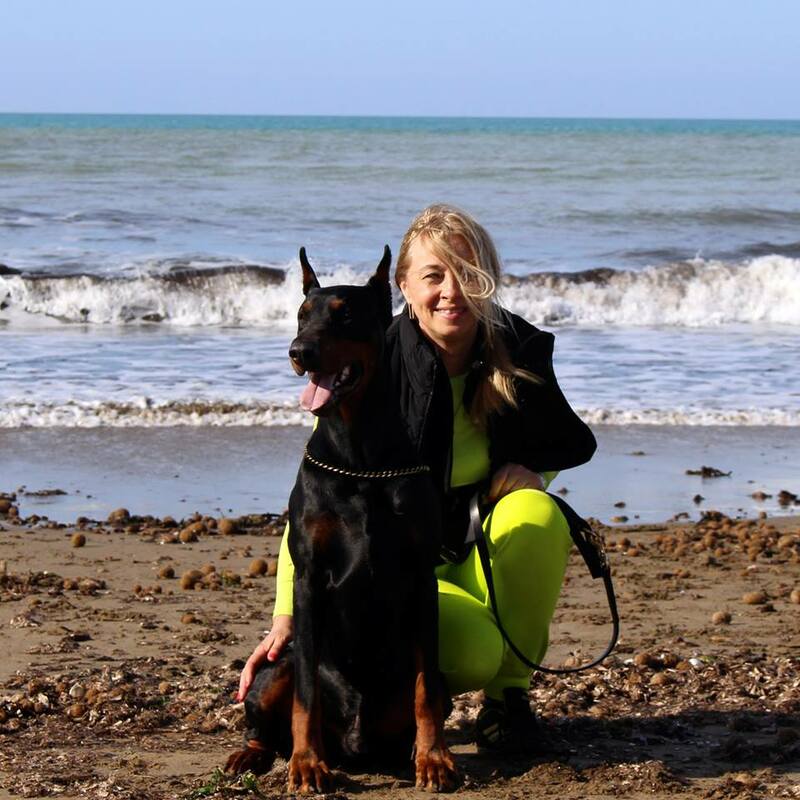 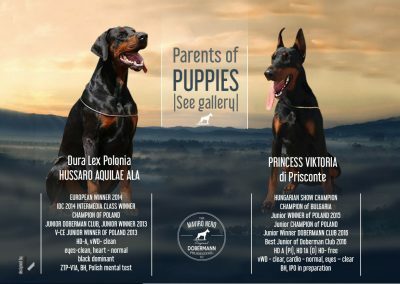 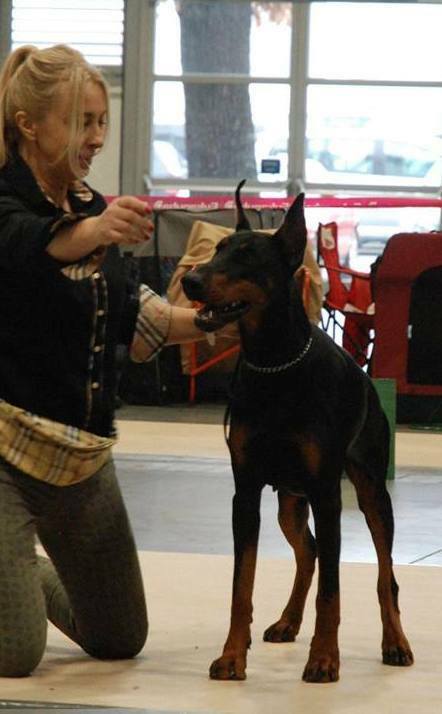 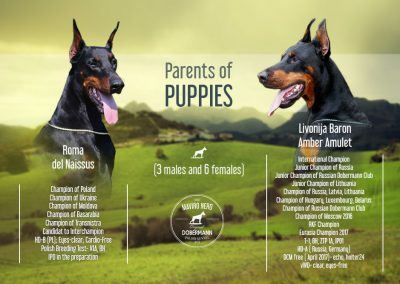 It is difficult to define how long we have admired and loved Dobermans, but we have started to work with them in 2000, when we bought our first Doberman, the very noble and proud representative of this race, named Lord. 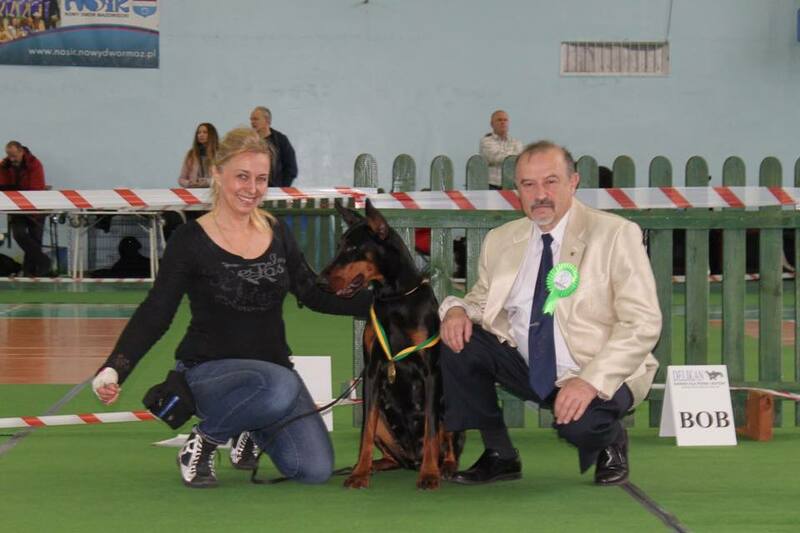 He was an integral part of our family, a faithful and devoted friend of my son who played an important part in his upbringing. 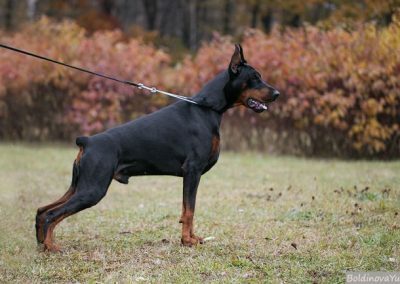 Lord lived with us for 10 years and after he passed away we experienced a void in our lives as we missed him a lot. 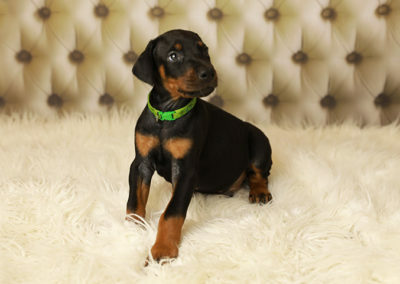 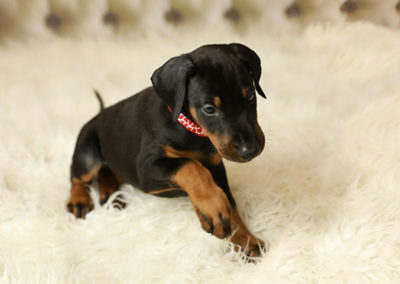 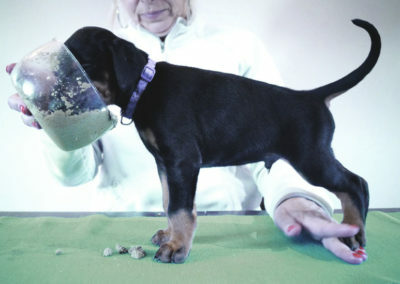 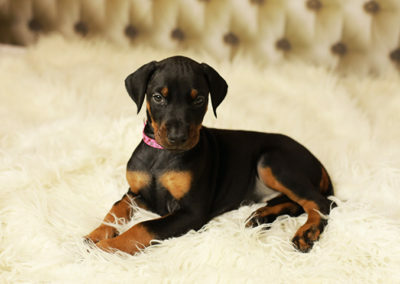 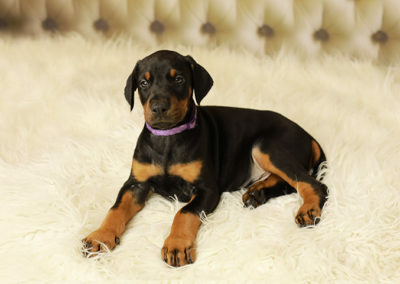 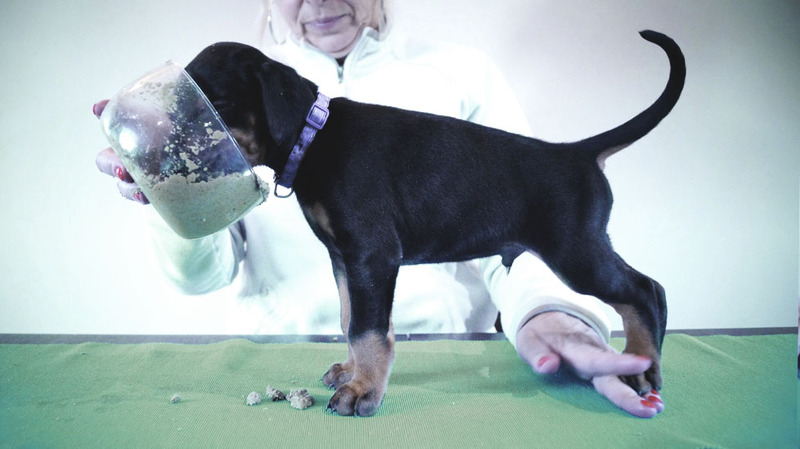 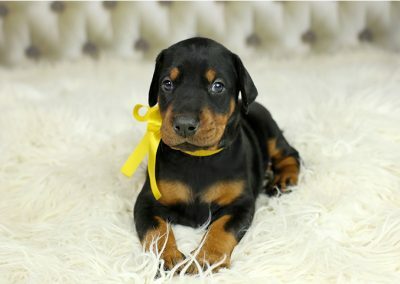 It was then that we decided to always have Dobermans in our home. 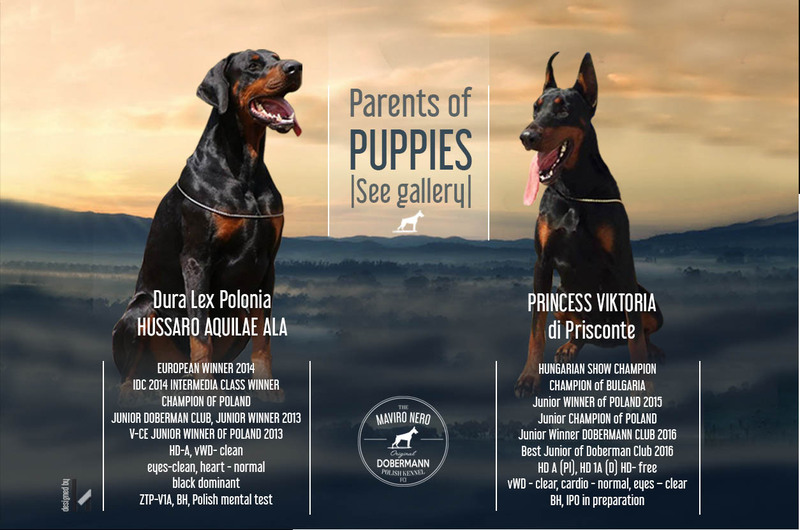 We were and are to this day convinced that dogs of this breed were going to be our passion forever. 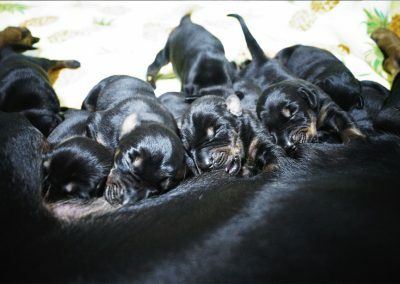 New Litter Soon! 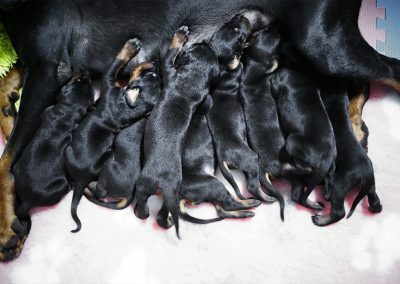 Litter "N"